Opening hours: Shops open around 09.00 and close around 13.30 or 14.00 Monday to Saturday. On Tuesday, Thursday and Friday they are also open from around 17.00 to 21.00. Always closed on Sundays and holidays. In tourist areas & resorts they are open every day from 09:00 to 21:00. 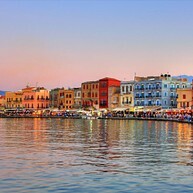 Crete is surrounded with history and beautiful scenery. You will never get bored: always there is some new landscape or geological feature, some unique eco-system, or beach of outstanding natural beauty! At the same moment, Crete is a cosmopolitan island, whilst nonetheless retaining those elements which belong customarily to the folk tradition. The Archaeological Museum is located much in the center of Heraklion: it is one of the most important Archaeological Museums of the world, thanks to its unrivalled collection of artifacts from the Bronze-age Minoan culture – the first of note on what is now European soil. The exhibits cover a period of ten millennia, from the Neolithic era until late Roman times. 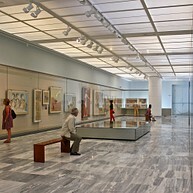 A tour would start on the Ground floor: the halls are dedicated to the Neolithic and Minoan cultures. Organized chronologically, covering all phases of the Minoan civilization, the rooms channel you from the Pre-palatial period (3000 - 1900 BC), through three phases of Palaces, down to the Post-palatial era (1350 - 1000 BC). The introductory texts in each room explain the key features of each period – and so the evolution of culture. In these halls the visitor is held entranced by objects of Minoan art and craft: jewelry and seals, pottery and metalwork, ivory, faience and glass. Items of the daily life, items used in religious worship, items from the burial chamber. Through further and often thematic texts are clarified the practices and ways they organized their economic, religious and social life. Among the exhibits are some of the most famous Minoan icons: such as the Snake Goddess, the Phaistos Disk, the Ring of Minos and the Mallia wasp (or bee) pendant. And many, many more! 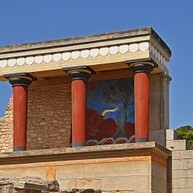 Visitors to the museum can admire unique artifacts recovered from the excavations at the Palaces of Knossos, Phaistos, Aghia Triadha, Malia and Zakros – let alone the numerous other major centers and sites of Minoan Crete. A museum in Heraklion where you can find a lot of interesting things for all ages. There are a discovery centre for children, an earthquake simulator, small aquariums and terrariums housing living animals from this region, a large collection of fossils, and a replica of the largest mammal ever lived on Crete, 9 million years ago. It does not only present the natural wealth of the island, but also of the rest of Greece and of the Eastern Mediterranean. In the 800 square metres of the museum, in specially transformed areas, visitors have the opportunity to learn about the geological evolution of Crete, various important geological formations such as caves, the species that once lived on Crete but are now extinct, endangered animals such as the Monk seal and the Bearded vulture, as well as about plants and organisms of all kinds that thrive on the island. 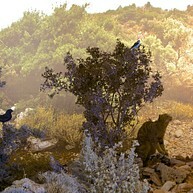 The animals are displayed by way of accurate representations, in their real dimensions (dioramas). The museum also has an outdoor botanical garden. 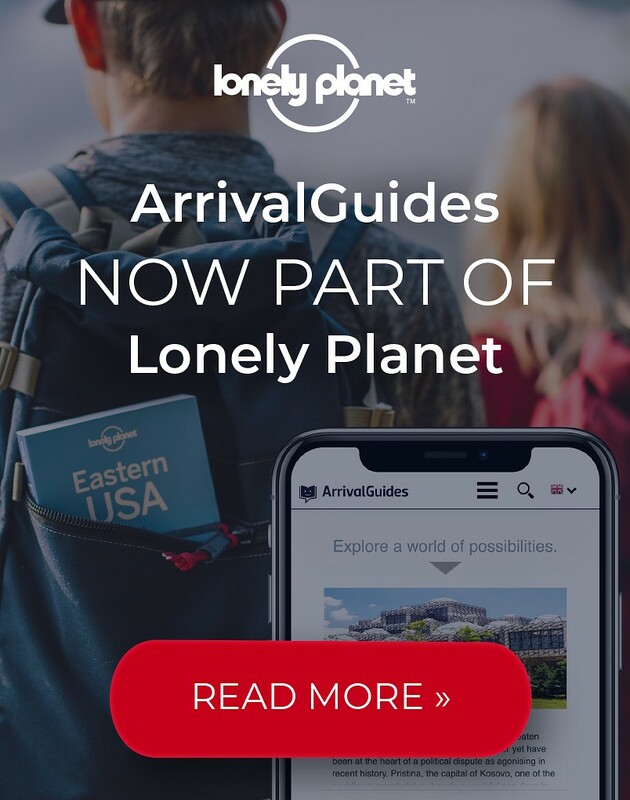 Feeling for a celebrity hunt? Elounda is the part of Crete where all the rich and famous people come for a vacation. Here you can gaze at all the luxurious villas and hotels but also enjoy the charming old fishing village. From Elounda you can take a boat trip to Spinalonga Island known for its Venetian fortress and being one of Europe´s last leper colony. Spinalonga is a small island-fortress located at the northern entrance to Elounda bay, at a strategic point that secures control over the natural harbour of Elounda. An ancient fortification existed on the site of the fortress that can be seen today, for the protection of the port of the ancient town of Olous. The Venetian fortress of Spinalonga is well-preserved. It has two fortified protected zones. The first, which is lower down, follows the coastline, while the second runs along the cliffs above it. The two strong crescent-shapedfortifications, which were built to protect the port of Elounda with their cannons, stand out. The castle of Spinalonga, together with the fortresses of Souda and Gramvoussa in Western Crete, were considered impregnable, and remained under Venetian rule for many years after the Turkish conquest. Explore the wonderful life of the Mediterranean sea. Here you can see hundreds of different fish and other marine species and let your self be fascinated by their shapes and colours. Cretaquarium, as a fruit of scientific research, is coming to give us knowledge and the experience of mediterranean marine world. A part of marine park research, culture, education and recreation of the Cretaquarium, is based on the knowledge, the expertise and the innovation which is produced by the Greeks marine scientists in the last 20 years. Cretaquarium is representing the Mediterranean marine life with modern ways and means and provides a unique spectacle that will always fascinate children and adults and it will inform, educate and sensitize the public about the diversity of Mediterranean species and the habitats. 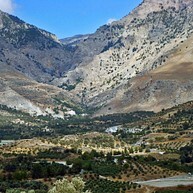 The gorge of Samaria is the longest and one of the most imposing gorges in Europe. 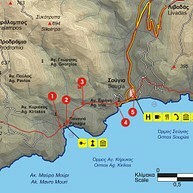 Perhaps the most popular trekking path of Greece runs along its course. The gorge is 18 kilometres long and its width varies between 150 and 3-4 metres at its narrowest point, which is known as "Sideroportes". The walk down the gorge begins at "Xiloskalo", in Omalós (at an altitude of 1.200 metres) usually, quite early in the morning, since it requires 4-8 hours, depending on the walking pace. Six hours on average are enough for those who wish to enjoy the route without being in too much of a hurry. Walking down the Samaria gorge, one discovers a varied landscape, with water springs, pools and impressive large rocks lying in the watercourse, as well as numerous trees, such as plane trees, pines and cypresses. Trees and deciduous oaks rooted on the highest cliffs, ineffable scents of herbs and an occasional Cretan wild goat (kri-kri) climbing on a steep slope make this gorge unforgettable. After its narrowest point "Portes", the landscape evens out a bit and the watercourse begins to widen. Entrance tickets are re-checked at the outlet of the gorge, to make sure that no one has been left behind or decided to camp inside the gorge. After 18 km of walk, the Libyan Sea is close-by. Accommodation is available in Agia Roumeli. There is also the possibility to take the boat that goes to Loutro, Chora Sfakion, Sougia or Paleochora. Another way to experience the island of Crete is to walk it – by way of the E4 European Walking Trail, traversing virgin terrain and rare ecosystems! 91 hiking routes – Total length of 560 km! The Musical Workshop of Labyrinth was established in 1982 by Ross Daly, and is focused on initiating young musicians to a creative approach towards traditional musical idioms from around the world. 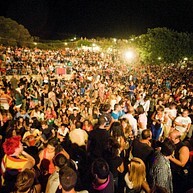 In this spirit, Seminars and Master Classes are organized, while the Houdetsi Festival, one of the most important musical festivals of Crete, is held here every summer, as well as other concerts. Labyrinth has been housed in an old, beautifully renovated building in the village of Houdetsi (20 km from Heraklion). 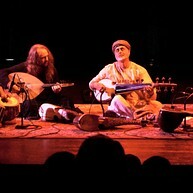 In Labyrinth one can also see a permanent exhibition of traditional musical instruments from across the world, such as are considered social, historical and cultural expressions of their country of origin. 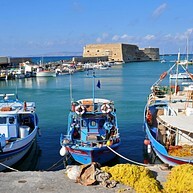 Heraklion had been fortified already in the years of the First Byzantine period (330-840 AD). These fortifications were supplemented by the Arabs (840-961), the Byzantines (961-1204), and the Venetians, after 1211. Indeed, the looming Turkish threat compelled the Venetians to reinforce the defence of the capital city of Regno di Candia(Kingdom of Crete), using the latest technologies of the time. The fortifications that can be seen today were based on the designs made by the Venetian architect Michele Sanmicheli, and they were built somewhere between 1462 and 1560. The main wall was three kilometres long, and had four gates and seven bastions. It was surrounded by a large moat which had additional bastions on the outside that do not survive today. The fortification works of Heraklion are rightfully counted among the most important in the Eastern Mediterranean, regarding their size, aesthetics and their functional superiority. The gorge of Agios Nikolaos is flanked by the peaks of Ambelakia, to the east, and Samari, to the west. It is considered as the most important gorge of Psiloritis and of Central Crete, and it was named after the Byzantine chapel of Agios Nikolaos which is located at its southern entrance. It extends along the imposing southern part of Psiloritis, from the north heading south, and it connects Rouvas forest to the north with the valley of Koutsoulidis river to the south, in the Zaros area. The gorge is 4 kilometres long in total. It begins north of the chapel of Agios Ioannis, where there is a recreation area, and ends up at the Monastery of Agios Nikolaos, to the south. Passing through the gorge takes 4 hours. The largest section of the route, which is 2,7 kilometres long, is landscaped and ideal for mild recreational activities, such as walking, mountaineering, rock climbing. This magnificent environment is also great for those who love nature and enjoy watching wildlife species in their habitat. “My father’s family comes from a village called Varvari”, wrote the famous Cretan author Nikos Kazantzakis in his book "Report to Greco". This village, known today as Mirtia (15 km from Heraklion) is where the Museum of Nikos Kazantzakis is located. Visiting the museum, one has the opportunity to become acquainted with the personality of the author, by way of his personal correspondence and diaries, various other personal items and momentos from his travels, seldom published photographs, models of theatrical sets and costumes from theatrical performances of his plays, rare audio-visual material, as well as works of art inspired by his books. At an altitude of 850 m, the Lasithi Plateau is the largest mountain plain in Crete – and the only one occupied all the year round. Today this huge polje of the Dikte massif has been transformed into a giant garden. Up to a few years ago irrigation was managed by thousands of small windmills. The Dictean cave, above Psychro village, is where – according to legend – Zeus was raised. Neolithic and Minoan finds are quite extensive. There are numerous traditional settlements at the plain, where you can taste local delicacies and drink some shots of the traditional raki drink. Lasithi plateau and its surroundings are also ideal for trekking walks or even biking or mountain biking! Every summer the traditional festivals and fairs act as real attractions in Cretan villages for natives and foreigners alike. In particular, they provide occasions for social gatherings and the maintenance of old customs and ways. The festivals are usually connected to a religious occasion, taking place in the village square where there is dancing to the strains of the lyra and the lute – of course with lashings of local foods and wines aplenty. Sometimes these traditional festivals are organized around a local product... focused on the same. Thus we have the Potato festival (Tzermiado on Lasithi plateau), of Wine (Dafni, Heraklion inland), of Pottery (Thrapsano, Heraklion), of Citrus Fruits (Garazo, Mylopotamos), of Shepherds and their Cheeses (Zoniana, Mylopotamos) and so on… The local product has a field day in all sorts of ways – and be assured there will be fun, music and dancing! Panagia Akrotiriani (Our Lady of the Cape) Monastery, colloquially known as Toplou, is one of Crete’s most impressive and historic monasteries. It is a true bastion and a living museum of the island’s monastic history. To make the most of the limited space inside the fort’s walls and the safety they afforded, cells were built across three storeys. Some of the murals of its small but solemn and stirring two-aisled church that is dedicated to the Virgin Mary and to Saint John the Theologian still survive, and its chancel screen features noteworthy 18th century icons. The monastery was already thriving in the 15th century, as is evidenced by a number of icons from that period. The Ecclesiastic Art Museum houses some of Crete’s most significant icons, including Megas ei Kyrie' (Great Art Thou, Lord) a 1770 icon by Ioannis Kornaros. The icon is made up of four main sections, further separated into 57 smaller areas, and includes hundreds of faces which come together magnificently to depict the Great Blessing of Waters. The organic vineyards on the monastery’s grounds produce wine of excellent quality and it is also possible to visit the winery. This is the most famous and probably the most frequently visited gorge in Eastern Crete. 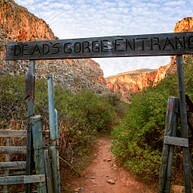 It was named “Valley of the dead”, because of the Minoan cave burials which were found in the gorge. The lovely route begins south-east of the village of Zakros , passes through the gorge and ends up next to the Minoan palace at Kato Zakros. It can be passed through almost all year round. It is 2,5 kilometres long in total, and the elevation difference between the entrance and the outlet is approximately 100 metres.